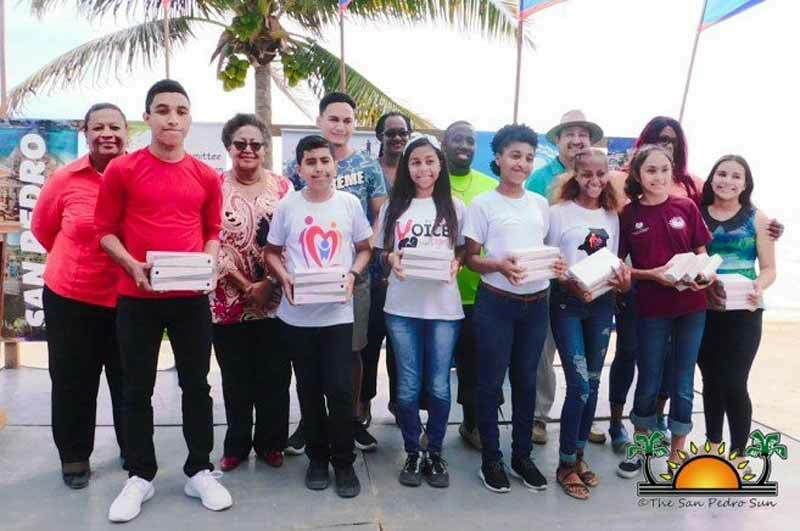 Many island students were educated during the 3rd Annual Child Advisory Board (CAB) President’s Meeting 2018 held at the San Pedro Town Central Park on Friday, December 7th. CAB is a youth organization under the Sustainable Child-Friendly Municipalities (SCMF) that advocates for children and adolescents in the community through the development of the city by its Town Council. The CAB aims to use the National Children’s Agenda and the Sustainable Development Goals to promote equality, greater social inclusion, diversity of children’s, experiences, abilities, and acknowledgment of cultures by promoting the education of health, justice, and social protection of children. The event began with a short ceremony at 9AM, where each CAB President shared with the attendees, the great work they are doing at their municipalities as well as the issues affecting them. The stage also saw municipalities’ leaders and central government officials sharing a few motivational words. After the short ceremony, each CAB President was awarded three new tablets. Attendees then got to enjoy an informative fair about what CAB is all about, and the various initiatives undertaken during the year, and how they are aligned to the National Children Agenda 2017-2030. On Friday, December 7, 2018, the Children's Advisory Body (CAB) Board held its Annual presentation. 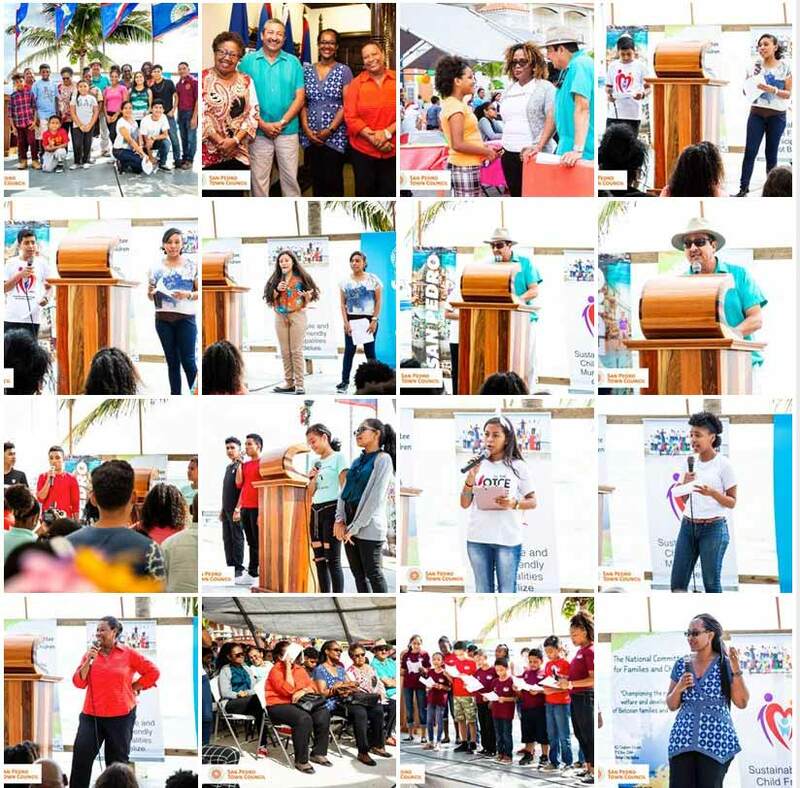 This year the host of the presentation was the municipality of San Pedro Town, which hosted all the CABs from each municipality where they had to decorate a booth and present their year's accomplishments. Before the booths were available for display, there was a ceremony where Mayor Daniel Guerrero offered the welcome address and each CAB gave a presentation. Other speakers at the event was Hon. Carla Barnett, Senator and Minister of State for the Government of Belize, as well as the UNICEF Coordinator in Belize, Dr. Susan Kasedde. At the end of the ceremony, CAB Project Coordinator, Kay-de Vaughn, have the closing remarks and surprised each CAB with three (3) tablets which then the officials handed over. After the ceremony was over, schools from San Pedro Town were invited to witness the different CAB booths. All CAB booths were very informative and interactive offering games and you win a prize if you guessed correctly. Thank you all CABs for participating and we hope you enjoyed your time in San Pedro, it was our honor hosting you all. See you soon!